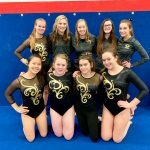 The gymnastics team improved its team score by almost five tenths and finished 5th at the Troy-Mont Invitational on Monday, January 21. Junior Evie Woltermann had a strong individual performance and placed 5th on beam and 10th in the all around. 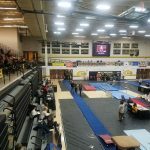 Sophomore Charlotte Cuff debuted a new vault and it landed her in 8th place on that event. 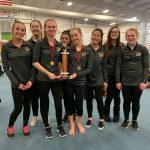 The gymnastics team started the 2019 season with a 3rd place finish at the Oak Hills Invitational on Sunday, January 6. 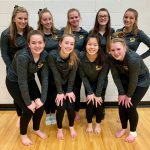 Seniors Taylor Lloyd and Anna Brown displayed their leadership with strong all-around performances and both placed on beam (6th and 8th, respectively). Junior Evie Woltermann scored an 8.1 or higher on all four events.